September 21, 2010  On this edition of All Songs Considered, Bob Boilen talks with Robin Hilton and Stephen Thompson about some of the albums they're most heavily anticipating this fall. January 11, 2002  On this edition of All Songs Considered we look at some of the artists responsible for 2001's folk music revival. Featured artists: Gillian Welch, Ralph Stanley, Jimmie Rodgers and more. 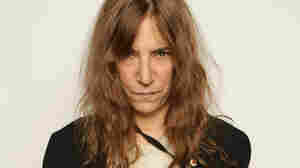 June 19, 2012  This edition of All Songs Considered welcomes Patti Smith to talk about some of the artists who have influenced her over the years, as well as songs that inspired her to leap up out of her seat. 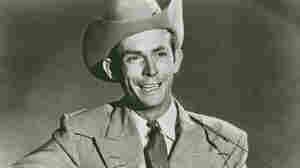 October 25, 2008  A new Hank Williams collection has just been released, featuring songs that few fans have heard. The Unreleased Recordings of Hank Williams includes rare performances from a Nashville radio program Williams hosted in 1951. The legend's daughter, Jett Williams, discusses the origins of the newly found treasure trove of music. December 31, 2000  Charles Carr was driving the car on New Year's Eve 1952 when Hank Williams died from a heart attack in the back seat. He talks about the experience, and we hear some of Hank's music. 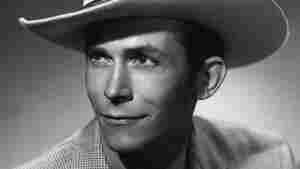 January 4, 2003  NPR's Scott Simon reflects on the 50th anniversary of the death of country music legend Hank Williams. 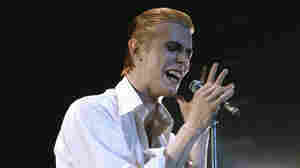 August 16, 2010  Explore some of the standout and surprising musician alter egos over time. 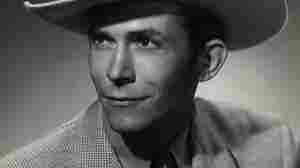 October 12, 2011  The Lost Notebooks of Hank Williams features a number of major country and rock musicians, who craft songs around lyrics that Hank Williams left behind in four notebooks when he died in 1953. Bob Dylan, Alan Jackson, Jack White and Norah Jones are among the artists on the album. 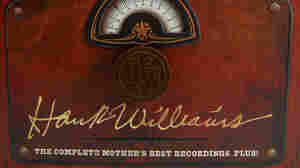 December 7, 2010  Hank Williams owned one of the greatest voices in the history of recording. Hear his daughter Jett Williams and biographer Colin Escott discuss his legacy and the new box set of previously unreleased Hank Williams recordings. November 11, 2010  A new 15-disc box set reveals the fun side of the country legend, who jokes with his band between songs of loneliness and heartache. Even the antiquated ads on The Complete Mother’s Best Recordings are charming. 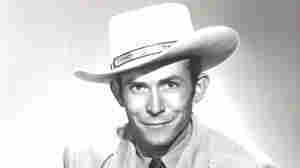 October 1, 2010  In 1951, Williams was one of the biggest stars in country music. 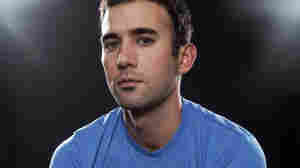 He was also a pitchman for Mother's Best flour and farm feed, a company that sponsored a daily 15-minute radio show. Rock critic Ken Tucker reviews Williams' performances on the show, which were just released on a 15-disc set called The Complete Mother's Best Recordings... Plus!